Safari is commonly used as the web browser on iPhone. Undoubtedly, Safari provides a fabulous experience for internet surfing and you can add your favorite websites as bookmarks. However, just like other app on iPhone, Safari may crashing from time to time. Sometimes, the problem can be fixed by restart iPhone, but you may lost all of your Safari bookmarks. 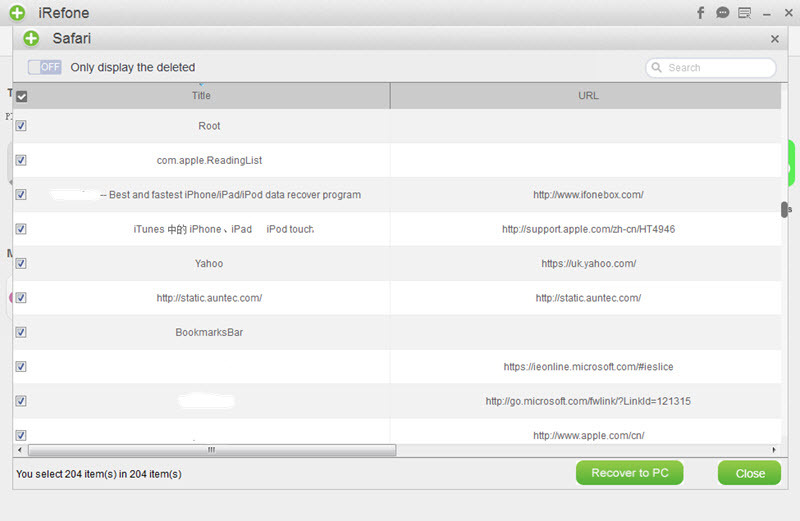 Thus, how to recover these lost bookmarks due to Safari crash? Doo you have any idea? If not, we suggest that you could have a try of iRefone. 1.Check network connection, including cellular data or Wi-Fi. 2.Clear Safari cache on iPhone. 3.Shut down the Safari by press down the Home button for twice, and then restart Safari. 4.Reset network settings by going to Settings > General > Reset > Reset All Settings. 5.Erase all content and settings on iPhone. 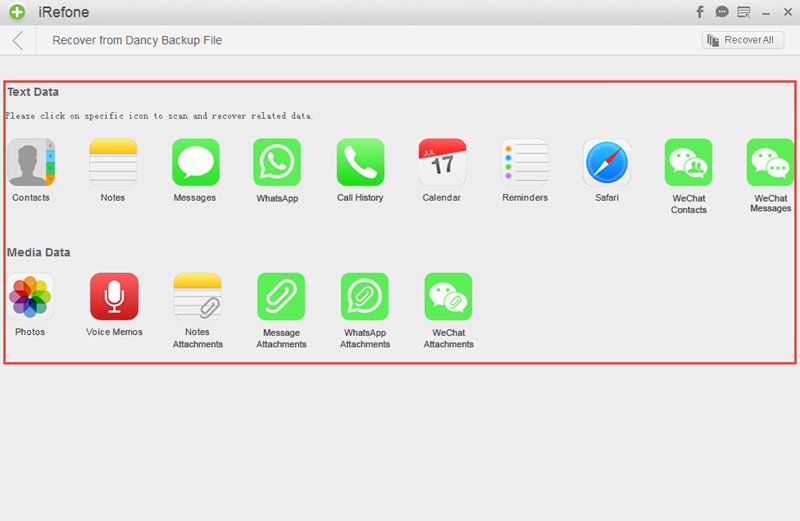 iRefone supports to recover up to 16+ kinds of data on your iPhone like messages, notes, contacts, call history, photos, whatsapp, wechat and more. 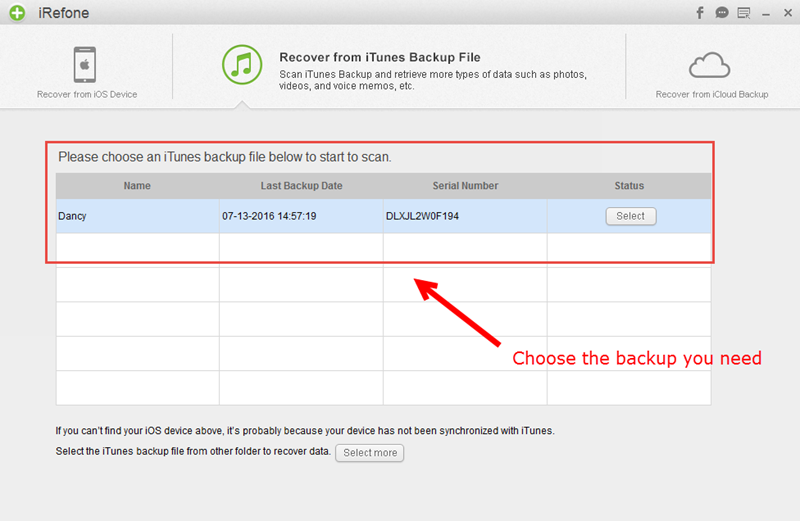 It enables you to recover deleted or lost data directly from iOS device, as well as iTunes and iCloud backup. Before recovery, this tool allows you to preview these data in the software and selectively choose what you need. 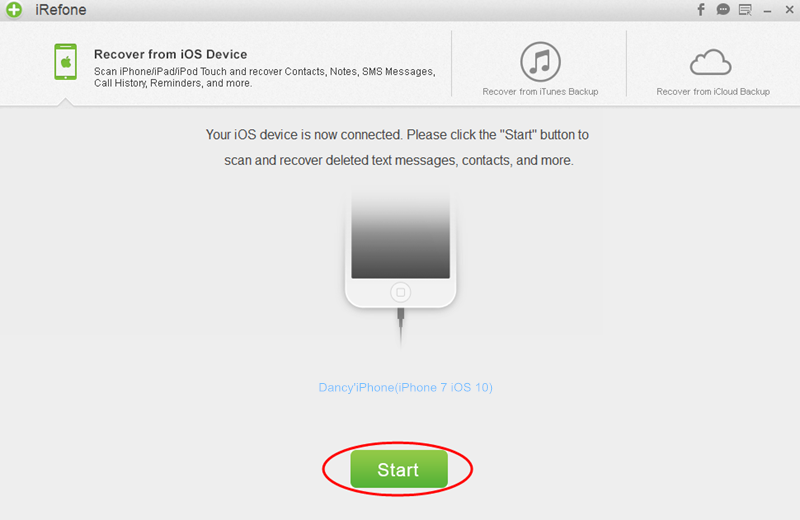 Download and install iRefone first to begin to the recovery process. Step 1: Run iRefone and connect iPhone with computer. Click on “Start” button. Step 2: Then it will bring you to a interface to ask you choose the data you want to scan. Choose and click on the icon of “Safari” and the software will automatically scan and analysis your iPhone when you click on it. Step 3: When the scanning is finished. All of the Safari Bookmark will be displayed. Select these data you need and click on “Recover to PC” to save these data on your computer. Step 2: Choose the data you want to scan and recover. Click the icon of “Safari” to start the scanning. Step 3:] When the scanning is finished, preview the Safari Bookmark in your iTunes backup and pick out these data you need to save on your computer. Click “Recover to PC” to choose the store folder. 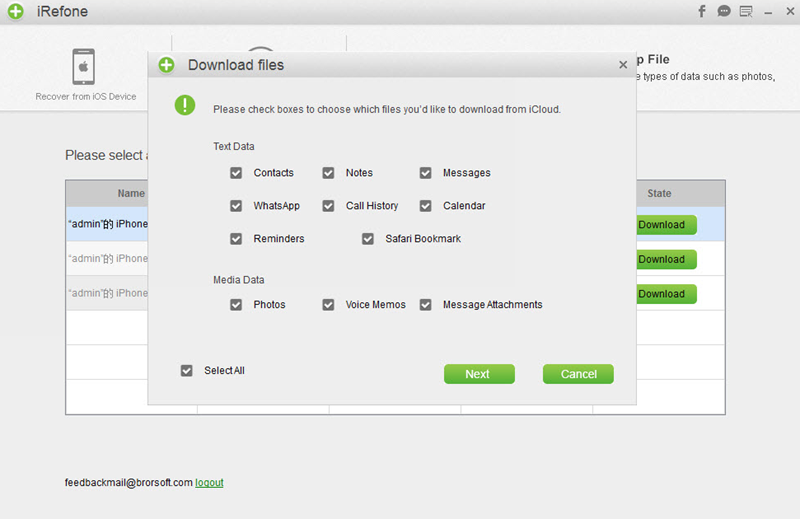 Step 3: When the downloading process is stopped, you can click the icon of the data you need in your iCloud backup file. 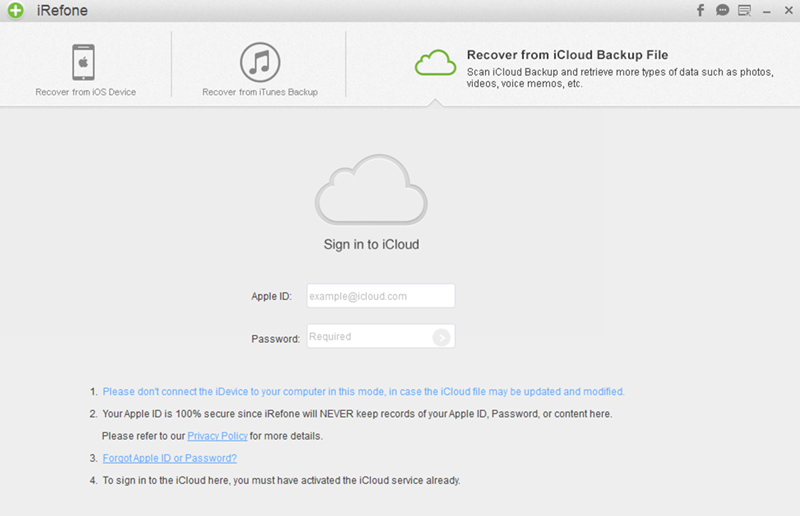 Step 4: You could preview all of your Safari Bookmark in iCloud backup. Select these data you need to backup them on your computer.